I find that as there is more and more coverage of the situation in Catalonia, my expectations have risen considerably. Whereas a few months ago I might have been thrilled by an article about human towers, and surprised by one that mentioned independentism, now I'm bored by the same cookie cutter article that says, in short, "The economic crisis has wakened Catalonia's desire for independence. They say they transfer too much money to the rest of Spain. But, Spain won't let them leave, and the EU won't let them in." There is so much more to it than that! It's not just about what the Catalans call the "fiscal deficit" or transfer of tax money from the relatively rich Catalonia to poorer parts of Spain, it's the amount and proportion of the transfer: almost 9% of GDP, one of the highest percentages in the world. Further, it's the fact that after the transfer, Catalonia drops from 4th to 11th in economic resources, as described today by Marta Espasa in Ara.cat. You can find the official governmental figures in this pdf. It's not just they pay more, all rich countries and regions do that. It's that they are paying so much more, they can't pay their own expenses, for which they are then blamed for profligacy, and then humiliated by having to go ask for their own money back from Madrid—which habitually doesn't pay what it promises, and when it does pay, pays late, making Catalonia incur additional interest charges!. But beyond the issue of over and unfair taxation, which I agree is a trigger, but clearly not the only cause, Catalans have a slew of motivations for pursuing independence. Catalans were outraged in July of 2010 that the Spain's Constitutional Court, at the urging of the PP party, overturned key provisions of the new Catalan Statute of Autonomy, that had been passed by a wide margin in referendum, and that had been voted on favorably in both the Catalan and Spanish Parliaments. This ruling of the court made it very clear that even when Catalonia assiduously follows the rules, Spain will not. More than a million Catalans demonstrated their frustration on July 10, 2010. High speed rail: Despite Spain having more kilometers of high speed rail than any other country in Europe (more than Germany! more than France! ), there is still no connection to Europe. At the same time, Spain continues to divert money towards its pipe dream of a "central corridor" through the rocky, and quite tall Pyrenees mountains and away from the absolutely essential but yet-to-materialize connections between the major Mediterranean port cities of Valencia and Barcelona with France and the rest of Europe. Port-Rail connections: It seems incredible that there is still no European width rail access to the Port of Barcelona. Meanwhile, Spain is spending 12.5 billion euros to build rail connections to Galicia. Scholarships: Only 8% of state scholarships are awarded in Catalonia, although Catalonia makes up 17% of the population. Tax audits: Catalonia is audited twice as often as Madrid and six times as often as Andalusia. Then there's language. The Education Minister said the other day that the rise in independentism is directly related to Catalan schooling, and then when questioned about it in the Spanish Congress, doubled down and said that his aim was to "Spanish-ize Catalan school children". It's not surprising that most Catalans were again outraged at his neo-fascist remarks. What's Catalonia's school system like? All classes are given in Catalan, except Spanish itself. The aim is to help integrate immigrants and not marginalize them. It is a school model that has been praised by UNESCO and the European Commission. And if you're worrying about Spanish speakers, you don't need to: Catalan school kids score higher on Spanish than kids in other parts of Spain. There are many, many more issues. 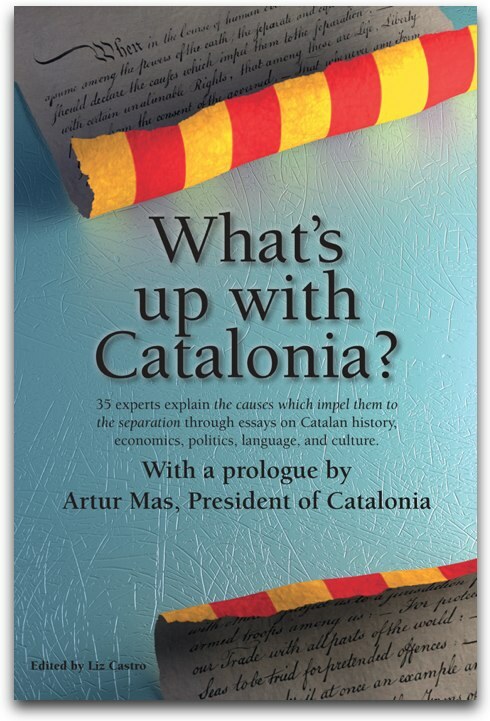 As Matthew Tree describes in Barcelona, Catalonia: A View from the Inside (full disclosure: I helped him publish the book), there is a "general antipathy towards Catalan people". Many, many Catalans (and even I) have direct personal experience with anti-Catalan rhetoric. It's not that all Spaniards are anti-Catalan, because they are not. It's that anti-Catalanism is pervasive in public, the press, and now in social media, and there are few if any non-Catalan Spaniards willing to stick their necks out on the issue. But, like the repealing of the California car tax that propelled Arnold Schwarzenegger to the governorship, I sometimes wonder if it will be the abusive toll road system in Catalonia that breaks the camel's back. In Catalonia, 67% of the highways are toll roads. In Madrid, they are 96.6% free, and in Extremadura, they are 100% free. This is a daily, in-your-face, inescapable reminder that pushes Catalonia towards independence.